Severine von Tscharner Fleming is a kind of farming savant and a super-dynamic agent of the revolution in agriculture reuniting us with soil, water, and life. 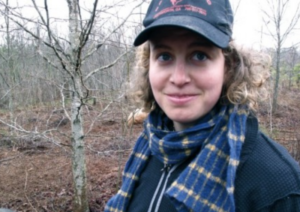 She is the founder of the Agrarian Trust, which connects young farmers with land they otherwise couldn't afford. We talked about the evolution of farming, its planetary healing potential, issues of ownership and the commons, and how to bridge our ideals and best practices to present-day economic realities. healing land is a way of healing ourselves. I have taught horticultural therapy. It has wonderful healing posers. I am more referring to how the garden or farm makes the gardener or farmer. Becoming part of your environment creates a deep connection. It is unlike a relationship with another human being. Becoming part of the land allows for developing an intimate relationship with that land. This is the best way to create a balanced ecosystem. I discribe it in more detail in my book, Radical Regenerative Gardening and Farming (Biodynamic Principles and Perspectives). Great podcast! I love the work both of you are doing, thanks! I really enjoyed this episode!! Are there any books out there about how small farms can feed the world as opposed to big farms?